David completed his Ph.D (2012) at the Institute of Psychiatry, King’s College London, where he performed in-depth functional genetic characterisation of two novel loci implicated in alcohol consumption following a large-scale meta-analysis of genome-wide association study (GWAS) data. 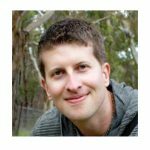 Following this, David accepted a position at the University of Adelaide working as a Post-Doctoral researcher and Lecturer, where he obtained funding as a new investigator to apply next generation RNA sequencing technology within the context of Major Depressive Disorder (MDD) and Bipolar Affective Disorder (BPAD) patients. David joined the Cardiovascular Epidemiology Unit (CEU) in February 2016 as a functional geneticist, with a primary interest in following up on complex disease-related GWAS hits to elucidate the molecular mechanisms and biological processes mediating their impact on disease. Stacey D*, Lourdusamy A*, Ruggeri B, Maroteaux M, Jia T, Cattrell A, Nymberg C et al. (2016). A translational systems biology approach in both animals and human identifies a functionally related module of accumbal genes involved in the regulation of reward processing and binge drinking in males. J Psychiatry Neurosci, 41(3):192-202. Schubert KO*, Stacey D*, Air T, Baune BT. (2016). Peripheral blood gene expression analysis implicates B lymphocyte proliferation and ribosomal S26 transcripts in cognitive dysfunction in people with remitted Major Depression. J Affect Disord, 190:754-6. Redlich R*, Stacey D*, Opel N, Grotegerd D, Dohm K, Kugel H, Heindel W et al. (2015). Evidence of an IFN-γ by early life stress interaction in the regulation of amygdala reactivity to emotional stimuli. Psychoneuroendocrinology, 62:166-73. Loth E, Poline JB, Thyreau B, Jia T, Tao C, Lourdusamy A, Stacey D et al. (2014). Oxytocin receptor genotype modulates ventral striatal activity to social cues and response to stressful life events. Biol Psychiatry, 76(5):367-76. Stacey D, Bilbao A, Maroteaux M, Jia T, Easton AC, Longueville S, Nymberg C et al. (2012). RASGRF2 regulates alcohol-induced reinforcement by influencing mesolimbic dopamine neuron activity and dopamine release. Proc Natl Acad Sci U S A, 109(51):21128-33. Schumann G*, Coin LJ*, Lourdusamy A*, Charoen P*, Berger KH*, Stacey D*, Desrivières S et al. (2011). Genome-wide association and genetic functional studies identify autism susceptibility candidate 2 gene (AUTS2) in the regulation of alcohol consumption. Proc Natl Acad Sci U S A, 108(17):7119-24.